On Monday afternoon (18th February) it got busy at the construction site. 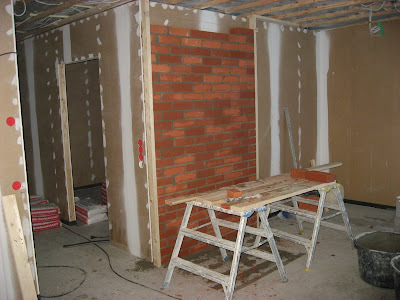 We began the masonry with the construction of the firewall, for which one pile of bricks was used up – only to find out that we were some 15 bricks short. Thus I had to get more, and bring them into the house on the same day, in order to have them warm up and de-ice overnight. 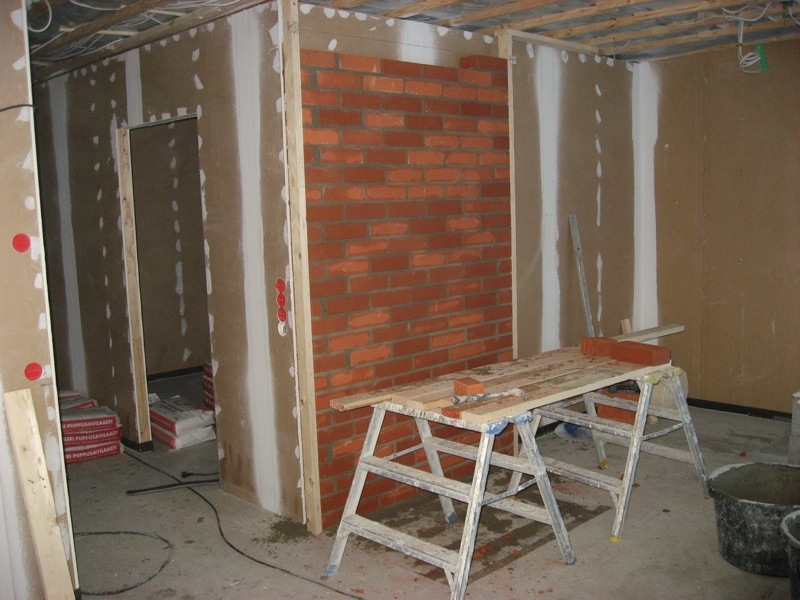 The photo shows the final product at the end of Day 28, including the gap on the top. Soon after midday, two lorries arrived, one of which is a specialised vehicle, which carries the tracked drill and houses a huge compressor. After a short while, work began on the drilling of the geothermal well, which will provide the energy for Our House. 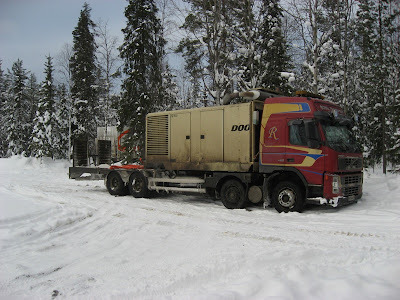 The photo shows the lorry after unloading the drill. The drill was driven to the correct location, and then it was coupled by a pressure hose to the compressor on the lorry (the orange hose in the background), which provided compressed air at 28 bar in order to drive the drill. Probably due to the vicinity of the river Kitinen, a lot of water came our of the bore hole, and the team had to keep pumping it out. 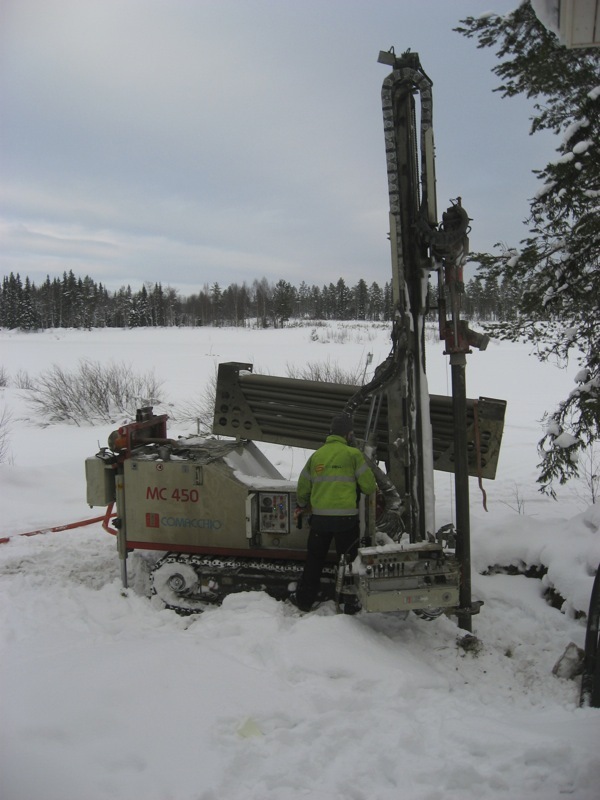 The deeper the bore hole gets, the more difficult it is to extract the water: the pressure increases 1 bar per 10 metre. Day 29a: We Are Going Geothermal! Day 23: A Name on the Door.